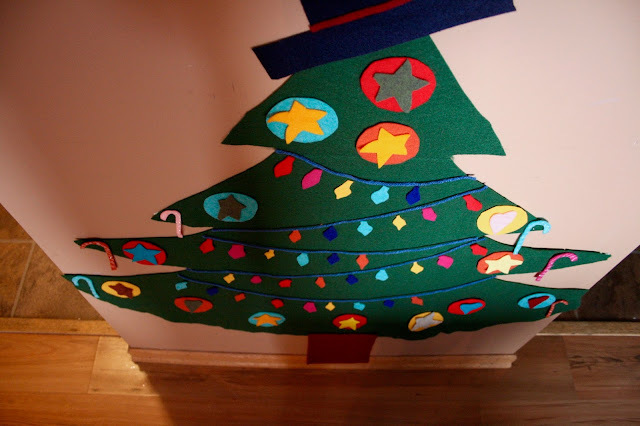 We made a felt Christmas tree! We have a little section of wall separating our hallway from our kitchen that has always been an interactive place to play for the littles. Usually there is a paper roll and chalk easily accessible on this wall, however since it is the Christmas season, I wanted to change it up and make a little activity that Bug and Little could play and, ultimately, get excited for the holiday. Thus began the felt Christmas tree project. 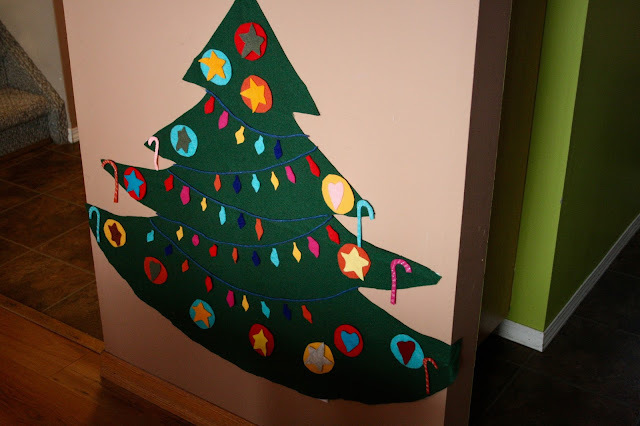 Starting off with a large green felt square, Bug and I drew up our Christmas tree template to lay on top. We only created a half tree template, so we folded the green felt square and laid the template on top, making it so that when we were done cutting, we would have a whole tree, and not just a half. I found out that Bug really enjoys pinning during this process. 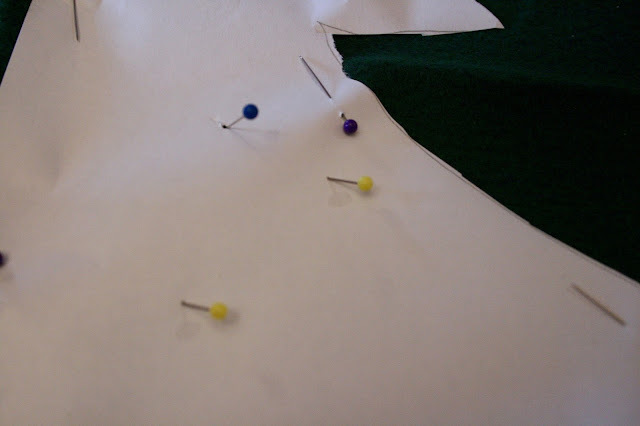 She kept asking for more and more pins to put onto the tree template. How can I say no? We definitely ended up using way more pins than necessary for this project. Now that our tree was cut out, we unfolded it and taped it onto our wall! Bug was very pleased. 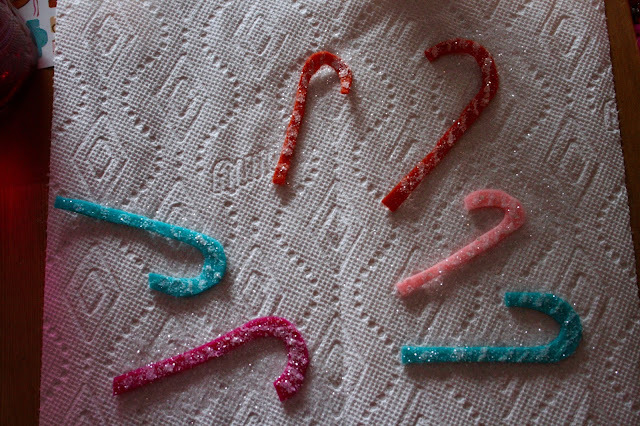 We had a few items already cut out, thanks to my mom, but I definitely wanted to make more. Without using any template, I cut everything out by hand, adding sparkles to some. I finished the majority of this project while both girls were napping, and I rushed to get the project done so that it would be a huge surprise to them when they woke up. My hand is definitely not used to that much cutting. It was very fun though. This project has been a huge success. It is played on every single day and new creations are constantly being made. The only thing that I have added since taking these photos is a basket to keep all of the felt pieces together.